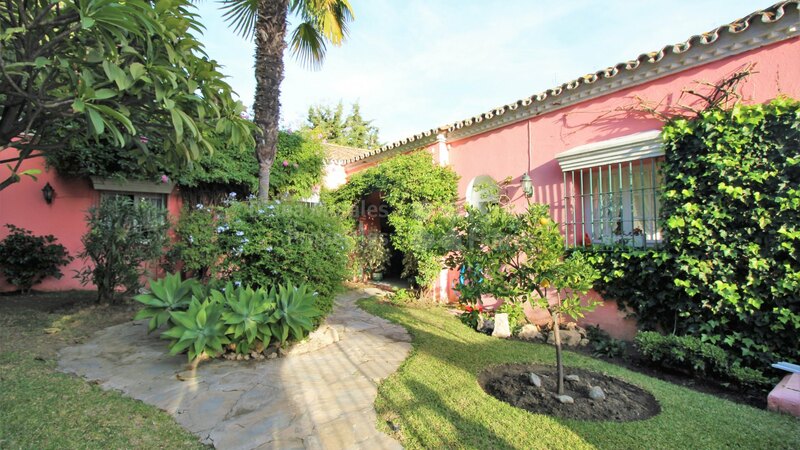 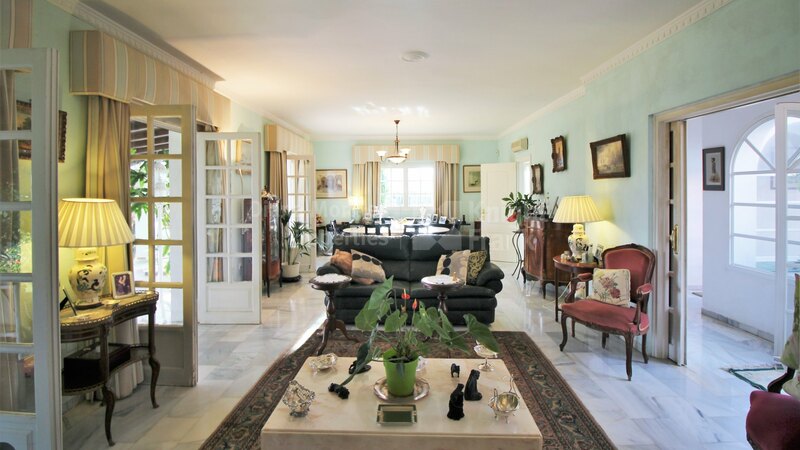 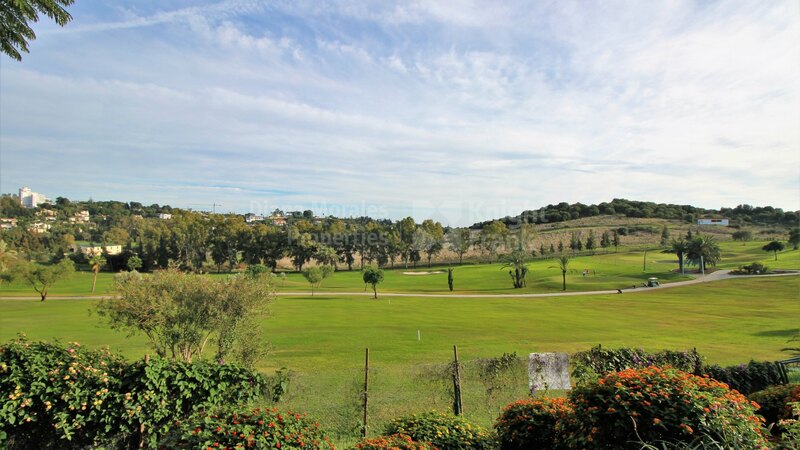 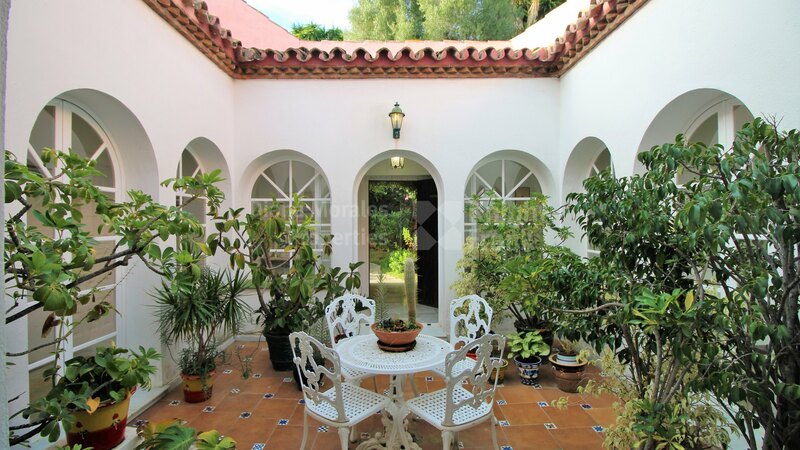 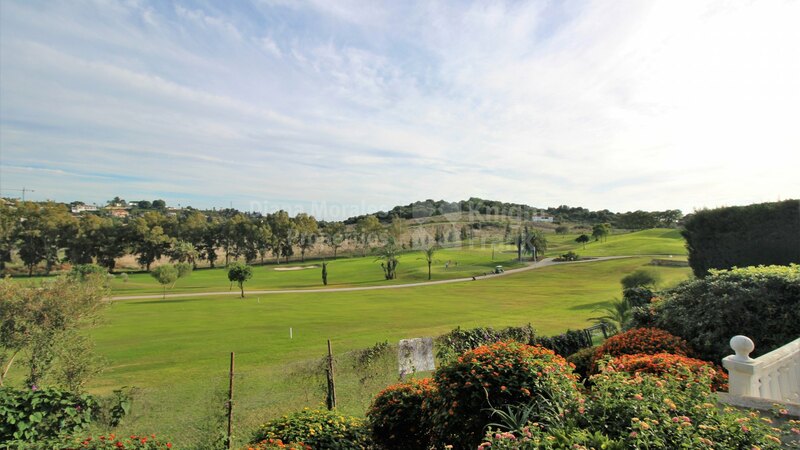 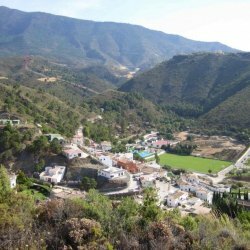 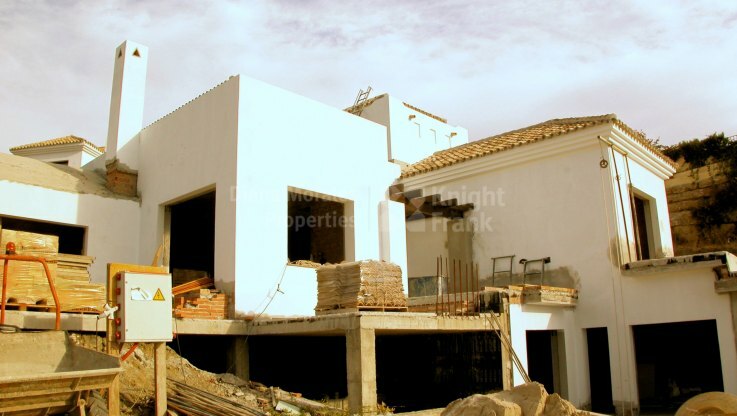 Please, send me more information about ref DM4394 in Paraiso Alto, Benahavis or similar properties. 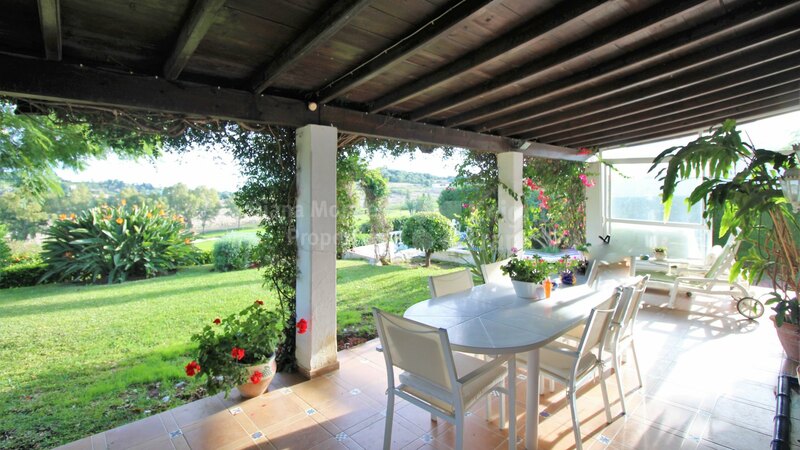 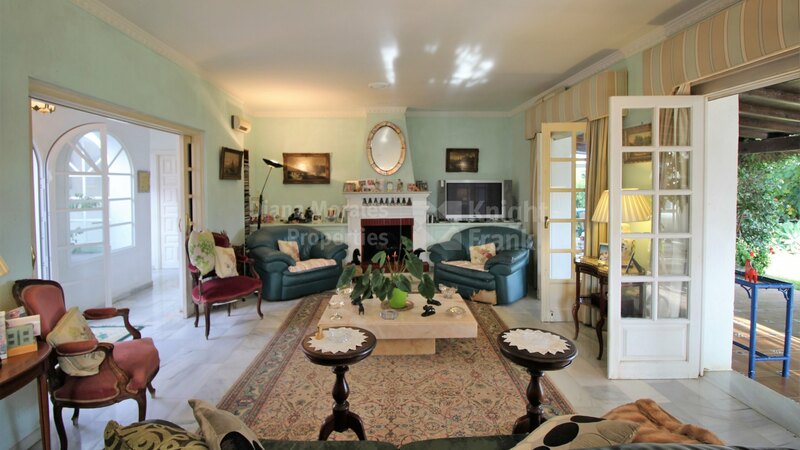 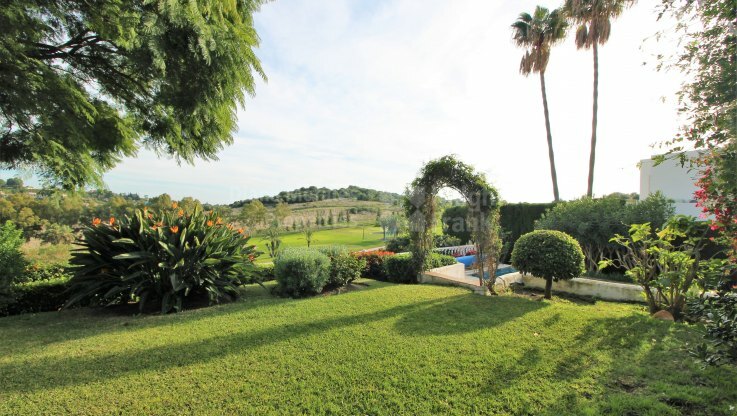 Single level bungalow built in traditional Andalusian style around a central courtyard with a fountain situated on the frontline golf position to EL Paraiso Golf course. 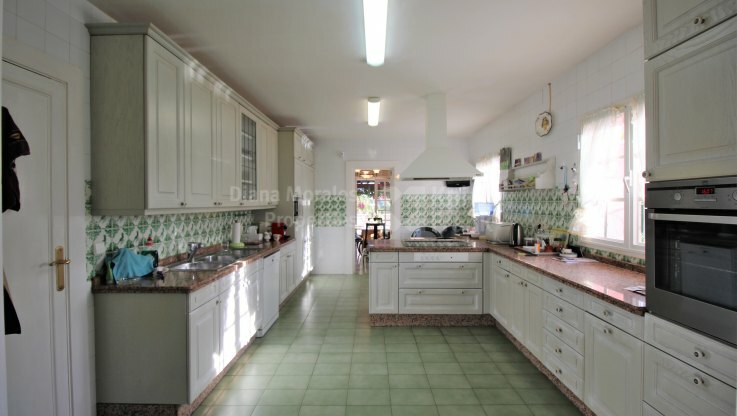 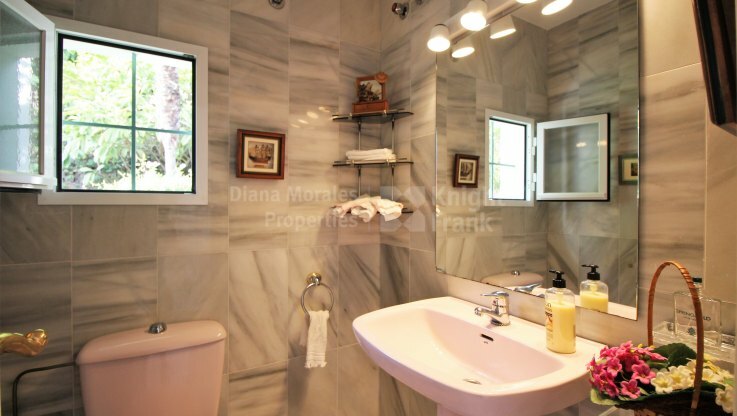 The property is located at approximately 1km from the commercial area with shops, bars, and banks and 600m from the local tennis club and 3kms from the beach. 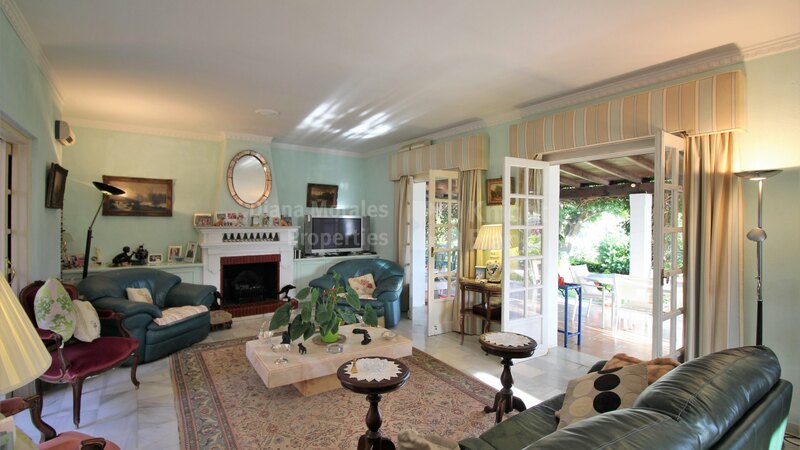 The interiors feature lounge /dining room with a fireplace and access to the covered terrace with golf views. The fully fitted kitchen is equipped with electric appliances and an adjoined laundry room. 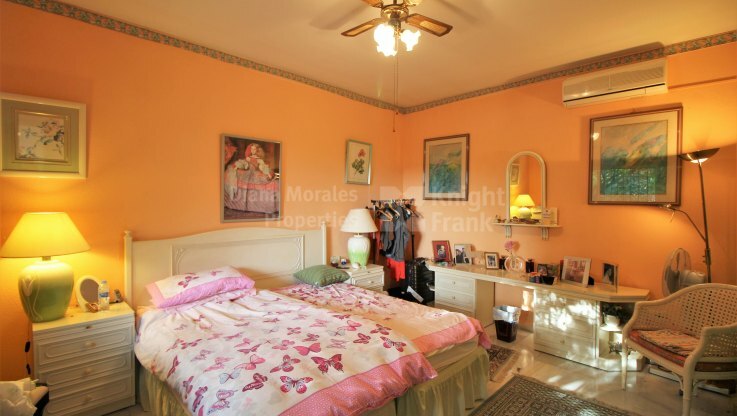 There are three bedrooms in the house. 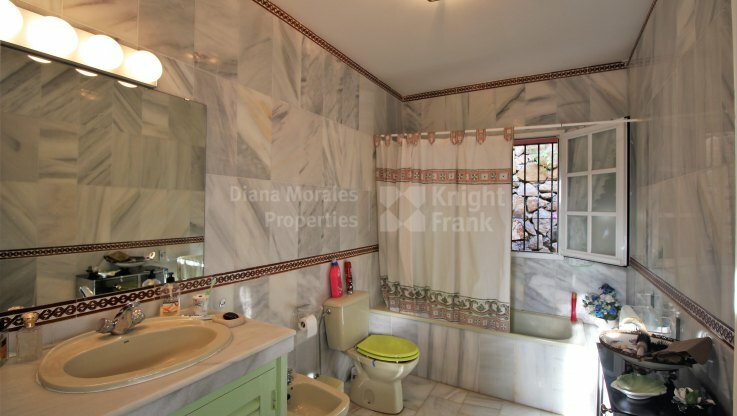 Two share the bathroom and one has a private bathroom and dressing area. 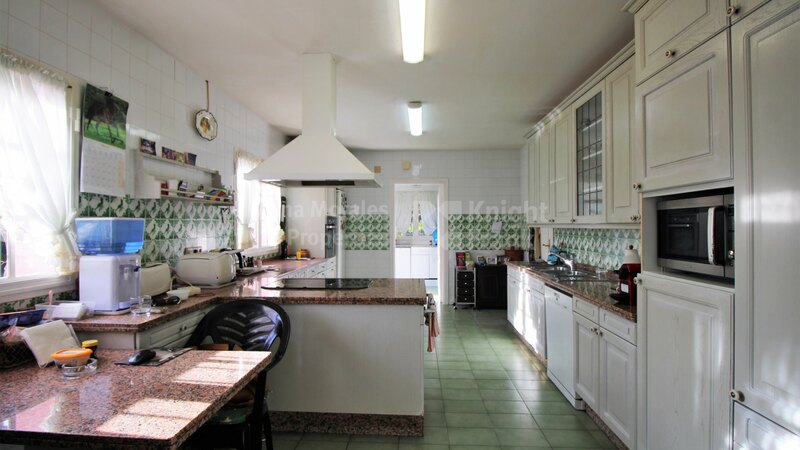 The house needs refurbishment and is well priced for a quick sale. 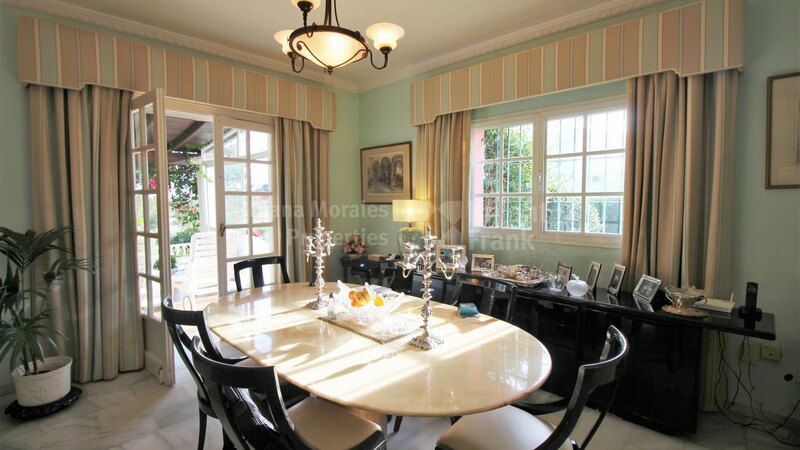 One car garage which is located in the street is also included in the price.